DigiLocker – the country’s first secured cloud-based platform for the storage, issuance and verification of documents and certificates in a digital manner – was launched in New Delhi on Wednesday. The innovative measure was jointly launched by Minister of Road Transport and Highways Nitin Gadkari and Minister for Information and Technology Ravi Shankar Prasad at the Transport Ministry in New Delhi. The platform launched under the Digital India initiative, which the Indian government initiated to digitally empower society and knowledge economy, targets the idea of paperless governance. According to the ministry, DigiLocker will eliminate the use of physical documents, help accessing them anytime, anywhere and able to share online, and avoid forgery. The integration of driving licence and registration certificates with the DigiLocker will enable their access through mobile devices. “It will help in bringing transparency. People will be happy that through it vehicle documents can be registered. This will help in people getting rid of corruption,” Mr Gadkari said on the occasion. Currently, the transport ministry has a database of over 19 crore vehicle registration and over 10 crore driving licences, which will be integrated with the DigiLocker. 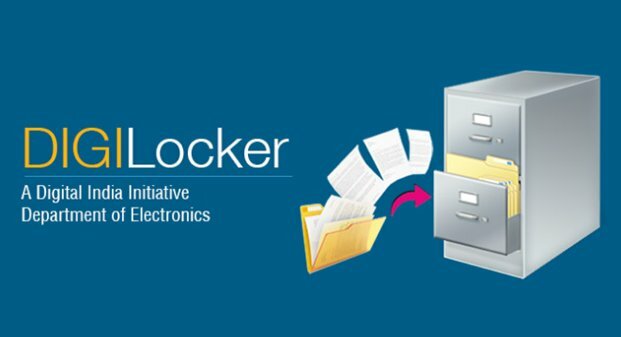 “DigiLocker has become a different and unique symbol of digitisation. Its usage will be speeded up in a great way in the next one year,” Mr Prasad said. It reduces the administrative overhead of government departments by minimising the use of paper and makes it easier to validate the authenticity of documents as they are issued directly by the registered issuers, the ministry said. Through the app, the self-loaded documents can be digitally signed using the eSign facility, which is similar to the process of self attestation. According to the ministry, DigiLocker already has 21 lakh users.